NEW YORK, NY– March 6, 2019 – The Tribeca Film Festival, presented by AT&T, announced today that Tribeca Immersive, which leads as an incubator for innovation and is a global stage where top VR creators choose to debut their latest work, will showcase more than 30 cinematic and cutting-edge virtual reality, augmented reality and mixed reality experiences by top artists who push the boundaries of storytelling with technology. Tribeca Immersive encompasses two events that run the duration of the Festival, Virtual Arcade, presented by AT&T, and Tribeca Cinema360. 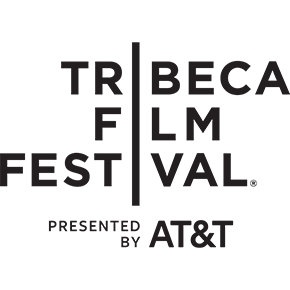 The Tribeca Film Festival takes place from April 24 to May 5. Tribeca Immersive includes innovative experiences from creators such as Eric Darnell and Baobab Studios (Bonfire), Jessica Brillhart (Into The Light), Jan Kounen and producers Atlas V (Ayahuasca), Celine Tricart (The Key), Clyde Henry and Felix & Paul Studios (Gymnasia), Adam May (A Drop In The Ocean), Dan Carlin and MWM Immersive (War Remains) and Fable Studios' Pete Billington and Jessica Yaffa Shamash (Wolves in the Walls: It’s All Over). Other notable names involved with projects include comedian Ali Wong (Bonfire), actors Jeffrey Wright and Noah Schnapp (Wolves In The Walls: It’s All Over), and musician Yo-Yo Ma (Into The Light). Key Collaborators: The National Film Board of Canada and Felix & Paul StudiosStep into a dream, where the ghostly ephemera of a lost childhood await you. Ascend Spring Studios and move through the movements of Johann Sebastian Bach's “Unaccompanied Cello Suite No. 2 in D Minor,” performed by the legendary Yo-Yo Ma. Eight hours ago, teenager Emma McCoy vanished. All she left behind was a game. Now it's the viewer’s job to find her. After a gunman shoots her best fiend on the playground, a first-grade girl confronts a journey of trauma and loss after the Townville, South Carolina, school shooting. Armonia takes the ride of the dynamic original piano concerto "Armonia Degli Uccelli," and marries it to a universally accessible animation, to produce a uniquely layered spectacle of spatial storytelling. Dreams Of The Jaguar's Daughter is a surreal VR documentary where Achik', the spirit of a young Maya immigrant, guides the viewer through her memories of an arduous journey north. A blue-hearted rom-com about people who are going to lose someone they love. Nobody knows what to say, so they bicker, laugh/cry, get married. It's a romantic comedy, after all.